Colin Tizzard's chasing superstar Thistlecrack was all set to get his career back up and running with a run in the Charlie Hall Chase at Wetherby on Saturday but unfortunately his seasonal reappearance has been pushed back with the connections of the 10 year old ruling him out of the race. This prolific jumper has not been seen on a racecourse since he finished fourth at Kempton in the King George VI Chase in which he was looking to defend his title that he won in 2016. Unfortunately he picked up a stress fracture in that race which is the reason he hasn't been seen since. He was all set to go in the Grade 2 affair in Yorkshire but the connections of the horse had fears over the ground conditions of the track not being suitable for the 10 year old. Today the ground description has officially been revealed as good and even though there is rain set to fall on the Wetherby track from now until Friday, they fear it won't be enough to ease the conditions. Assistant trainer to his father, Joe Tizzard explained the fears they had about the ground. (Credit Racing Post) he said: "We've made the decision not to run, the horse is in lovely form but the ground's not good enough for us." 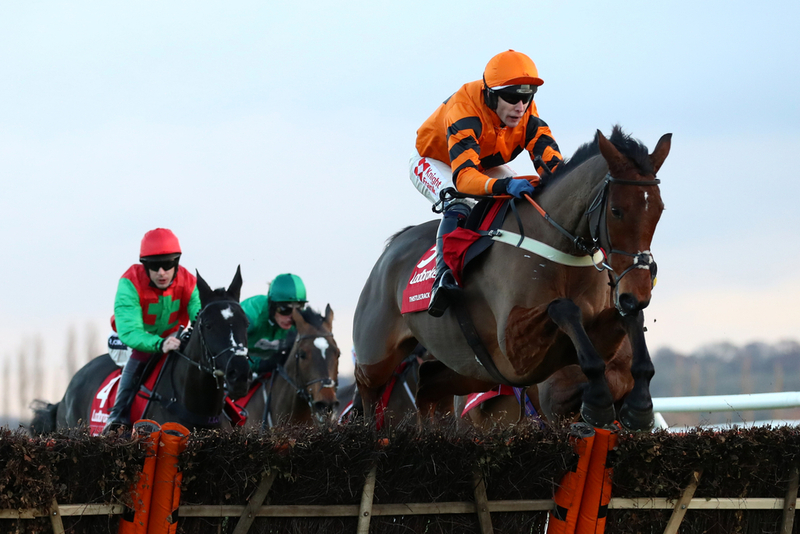 An alternative prospect for Thistlecrack has yet to be appointed but it looks though it will be on December 1st in the Ladbrokes Trophy at Haydock where we first get to see the Cheltenham festival winner. Declarations for the Charlie Hall Chase on Saturday will all be confirmed tomorrow morning with the likely candidates to be entered Bristol De Mai, who won it last year, Definitely Red for Brian Ellison and Clan Des Obeaux for Paul Nicholls.